God Loves Mommy & Me is such a sweet book. It is so pretty! The illustrations are soft springtime pastels and the animals are adorable. My opinion of the book is high but the best reviews always come from children. This is what happened when the book arrived in our mailbox. My teenaged daughter Amanda opened the package and immediately started looking through it. She said, “This book is so adorable. I call it when you’re done with it.” It’s so cute!” Even though she turns eighteen years old this week she was drawn to it. It was fun to watch her read and to listen as she shared with me the parts that she particularly loved. Amanda rates God Loves Mommy & Me as a 5-star book. Then my seven year old daughter Aubrey asked to look at it. When she was finished reading it I asked her what she liked best. Aubrey said, “it mostly talks about God.” Yeah! 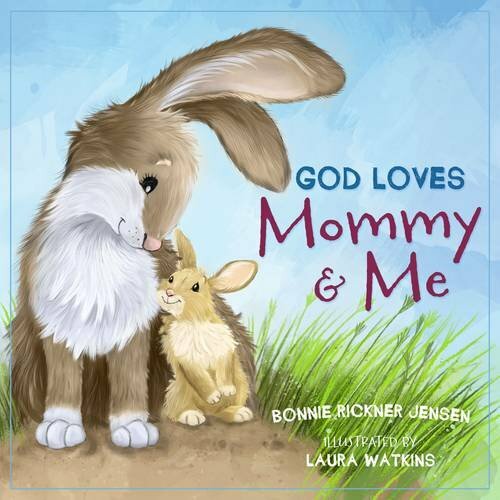 My kiddos responses are what has this mommy giving God Loves Mommy & Me 5-stars.